With Rakshabandhan just around the corner, Kalyan Jewellers, India’s trusted and leading jewellery brand today announced the launch of an exclusive range of Rakhis in gold. Intricately crafted by some of the finest artisans from the country, the gold Rakhis are inspired by the special bond sisters and brothers share and symbolize the promise of protection, affection and care. 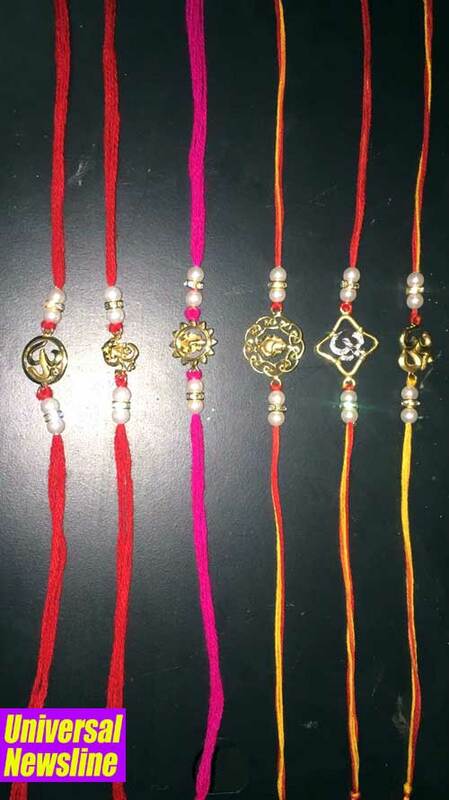 The Rakhis are priced between Rs. 4,000 to 10,000 and available at Kalyan Jewellers showrooms in Mumbai, Pune, Gujarat, Rajastan, Delhi, Punjab and Kolkata. “The be jewelled Rakhis can last a lifetime and the timelessness of these Rakhis adds to the alluring appeal and signifies the long lasting bond between a sister and her brother. The best thing about these Gold Rakhis is that they can be worn as pendants after the festivities are long over,” said Ramesh Kalyanaraman, Executive Director, Marketing and Operations, Kalyan Jewellers. Headquartered in Thrissur in the state of Kerala, Kalyan Jewellers is one of the largest jewellery manufacturer distributors in India. The company leverages its strong roots, of over a century, in the business of textile trading, distribution and wholesaling. Starting with the first jewellery showroom in 1993, Kalyan Jewellers has enjoyed a long-standing presence in the market of over two decades. It has set industry benchmarks in quality, transparent pricing and innovation. Kalyan offers an array of traditional and contemporary jewellery designs in gold, diamonds and precious stones catering to the distinct needs of the customers. Today, Kalyan Jewellers has 100 showrooms across India and West Asia. Kalyan Jewellers continues to adhere to the founding principles of its forefathers of pursuing fair and ethical business practices.